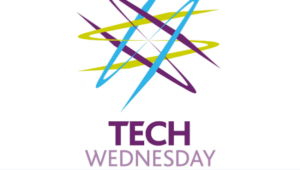 We’re excited to share news that in a couple of weeks, we’ll be making an appearance at Innovation Birmingham’s popular ‘Tech Wednesday’ meetup on the 20th February 2019! As well as hearing from three exciting start-ups who have all been supported through our Geovation Accelerator Programme, this is an opportunity to speak to members of the Geovation team to find out more about our open innovation initiative. Kindly hosted by the wonderful Innovation Birmingham, come along to our first Geovation Spotlight on the road. For more information and to register, follow the link to the meetup page here. Please see below for more information on each of the start-ups that will be presenting at the event. Cities work better when they work together, but it’s not easy to get everyone on the same page. Podaris is a real-time collaboration platform for planners, engineers, policymakers and public stakeholders. Podaris gives you powerful tools for proposal development and feasibility studies, letting you create transport plans more rapidly, accurately, and collaboratively than ever before — in any web browser. Onigo is on a mission to give everyone easy access to fun, social and active experiences that enhance mental and physical health. Using Onigo on your smartphone, you’re able to embark on an immersive adventure against the clock. Your team will need to find checkpoints, solve mystery puzzles and collect clues in order to complete your escape before your time runs out! TOAD.ai is a data-driven outdoor advertising agency powered by technology. It maps the UK’s inventory, 1/2m locations across 70 formats, and overlays it with audience data telling advertisers what the best locations are to reach their target audiences. Rather than contacting disparate publishers or going through slow and expensive agencies, TOAD.ai responds to briefs and generates relevant proposals in seconds, saving time and money.